← North Cyprus – Authorities – TRNC Gas Tank Permits – There seems to be a Hiccup! President Akıncı made this statement at the annual Presidential New Year’s reception hosted for journalists. Akıncı responded the questions of the journalists and made statements regarding the Cyprus Summit which will be held in Switzerland in January. Akıncı pointed out that a political framework for a settlement plan will emerge if the Geneva talks succeed. “We shall need to fill in the framework of a settlement. A constitution and federal laws will need to be drafted. No doubt, strenuous work will have to be carried out to finalize even the smallest details before the first half of 2017. It is possible to complete all this in a couple of months if the political framework exists. The last mile is always the hardest” he added. Akıncı stated that several issues which are pertaining to territory, security and guarantees, property, rotational presidency under governance and power sharing and active participation in decision making were issues pending an agreement. Prime Minister Hüseyin Özgürgün travelled to Ankara for a series of official meetings yesterday. Özgürgün will pay a courtesy visit to Turkish President Recep Tayyip Erdoğan on Monday 2 January before meeting with the Turkish Prime Minister Binali Yıldırım and Turkish Deputy Prime Minister Tuğrul Türkeş. During the meetings, the Economic and Financial Protocols will be reviewed and internal and external developments will be evaluated. 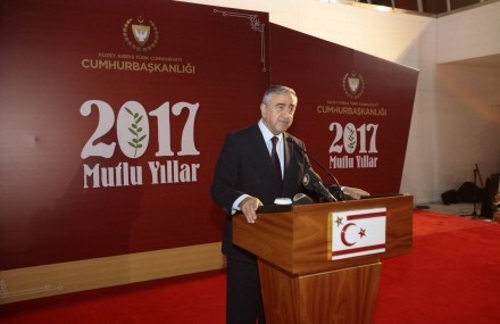 This entry was posted in News and tagged 5-party Conference Geneva, Cyprus negotiations, Hüseyin Özgürgün, Mustafa Akıncı, North Cyprus, TRNC. Bookmark the permalink.